Brand essence seems to have gone out of fashion. It feels like it’s been replaced and even upstaged by the ever-popular brand purpose. 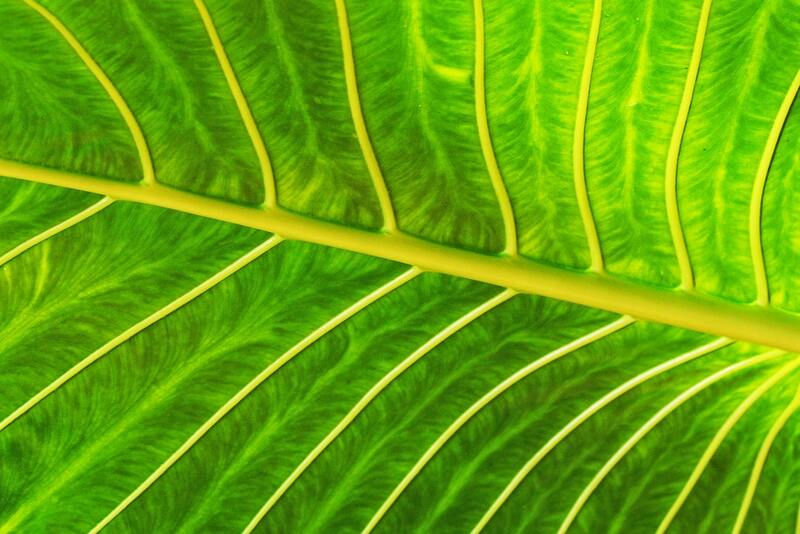 But brand essence is a powerful brand asset that shouldn’t be overlooked. This post shows why brand essence has the potential to help you scale your brands in existing markets and beyond. Prof Kevin Lane Keller considers brand essence, or brand mantra, as the heart and soul of a brand, being an articulation of what a brand fundamentally represents. Nike’s brand essence is authentic athletic performance and Disney’s is fun family entertainment. In practical terms, it might be easier to consider brand essence as two or three words that sum up ‘what your brand is all about’. This means Nike is all about authentic athletic performance and Disney is all about fun family entertainment. Enables employees to understand the core meaning that underpins your brand. In this sense brand essence provides a unifying concept that guides what employees do but more importantly how they go about doing it. This provides the basis for building consistent and cohesive (behavioural) brand experiences – at scale. Guides and focuses your approach to partnering with other organisations. When GoPro and Red Bull combined forces for the Stratos campaign it was a marriage made in brand essence heaven. Both brands promote an action-packed extreme lifestyle. This perfect fit helped extend reach for both brands – quickly – without treading on each other’s toes. Helps you evaluate which categories your brand should and should not move into. Should we stay in snowboarding or move into skiing as well? Should we launch a private banking service in addition to our traditional retail offer? This is where brand essence can make a particularly telling contribution to scaling your brand experiences. It provides scope or boundaries for the experiences you should and shouldn’t build. Think of it as a sense check or litmus test, if you will. Take Nike as an example. Nike operates in athletics, basketball, tennis, football, rugby, golf, etc. The experiences Nike wraps around its products and the athletes it partners with ooze authentic athletic performance. The company could open a chain of sports academies as long as they conveyed authentic, athletic performance. At these academies, you would expect to see athletes giving every last ounce of energy to make that shot or tackle. It would be all about competition, winning and being the best you can be. Nike has moved into snowboarding and skateboarding with limited success. That doesn’t fit within the scope of authentic athletic performance. Cool and hip brands like Burton, Vans and Volcom thrive in these markets. Vice versa also applies. Can you see these brands being associated with authentic athletic performance? Unlikely. A sure-fire way to lose street cred. Brand essence has also provided the platform for growth in the luxury market where the likes of Versace, Bulgari and Armani have blossomed into full-blown luxury lifestyle brands. Let’s assume Armani’s essence is timeless minimal sophistication. This has paved the way for the brand to open hotels, restaurants, home interiors (Casa), florists (Fiori) and confectionery stores (Dolci). Each one exudes timeless Italian sophistication. Does Armani have a factory somewhere making chocolates? Unlikely, but the experience delivered fits nicely with timeless minimal sophistication. So the real beauty of brand essence boils down to scaling via third-party partnerships. Although your brand essence shepherds the categories you should or shouldn’t take your brand into, this doesn’t mean you have to manage the experiences that sit under your brand. You can screen potential third-party offers based on how well their offer sits within the scope of your brand essence, then outsource operational delivery to them, if a relevant fit exists. 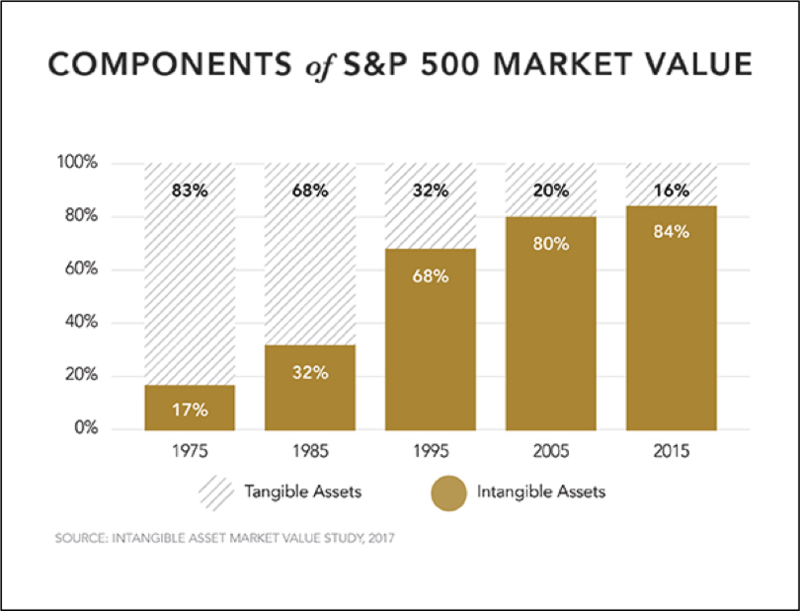 The importance of this approach becomes apparent when you consider the increasing percentage of S&P 500 value that resides in intangible assets such as intellectual property and brands. Driving growth through brand essence also minimises your exposure to product development costs because the third parties you work with will pick up the tab for this. In the UK brands like the AA and the Post Office sell a variety of insurance products but are not responsible for new product development and funding the product roadmap. This outsources a sizeable chunk of investment risk, leaving the AA and Post Office to focus their efforts on brand building and cherry-picking the products they feel contribute best to the overall experience they offer. When brands understand and embrace brand essence they take a step change in how they think about building brand experiences. They realise the main sources of value lie in intangible assets including brands and experiences whose operational delivery can be selectively outsourced through the filter of brand essence. Isn’t it about time you started to scale your brand experiences in this way?